Tom Craine is an award winning stand-up comic, MC and writer. 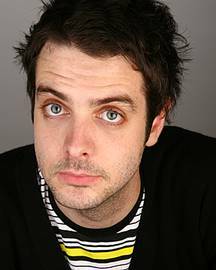 Since winning 'Best Comedy & Drama' at the BBC National Student Awards 2006 (hosted by BBC Radio 1) he’s already had his own radio comedy commissioned for BBC Radio 2, penned laughs for BBC 3 and presented items for BBC Radio 1 & BBC 6 Music. However, he's still most proud of being named Wales' 33rd sexiest man, despite hailing from Bath. The Noise Online (Music Magazine) reviews & band interviews. When can I see Tom Craine?